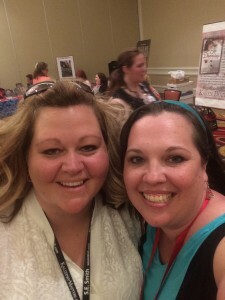 One of my favorite Romance Reader Cons for the past six years is RomCon. It’s held in Denver every fall and this is the first year I’ve attended as a writer. We played lots of games including telephone (aka Whispers down the lane), Pictionary, and all sorts of other silliness. 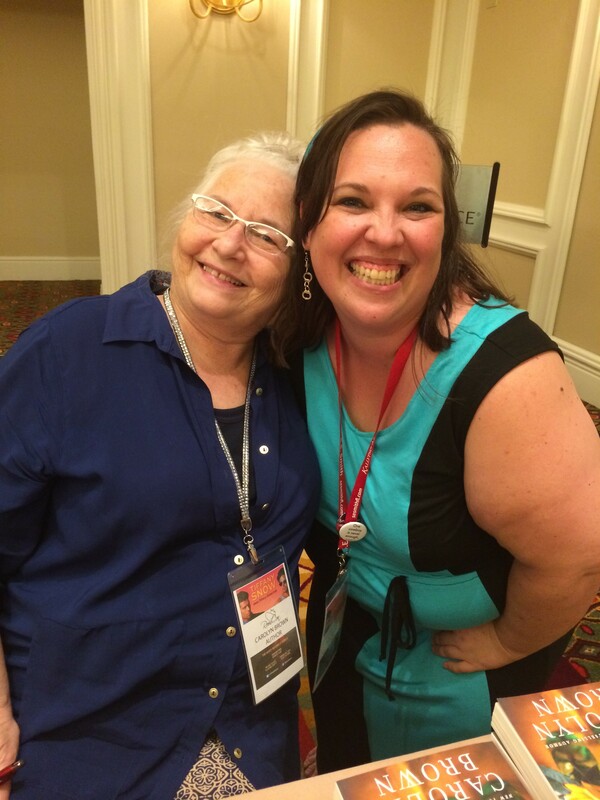 I met so many readers and made some awesome new friends! One of my highlights of the con was the bachelorette party. 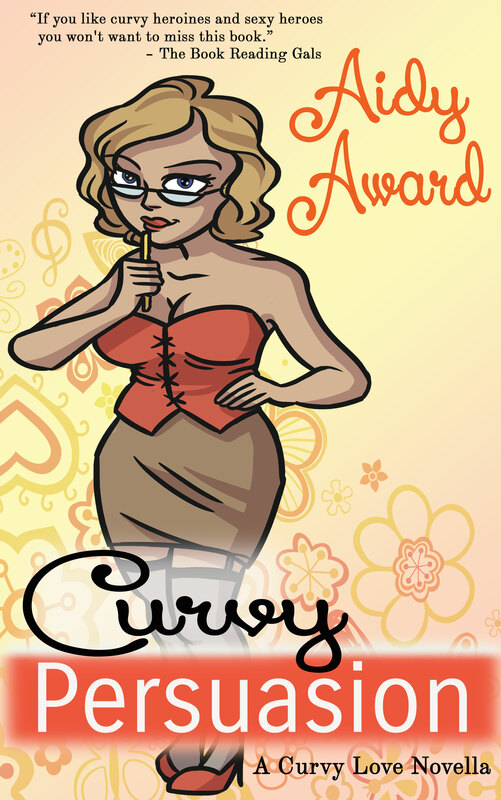 It was run by Pure Romance (you know the naughty toy, lingerie, and other fun, uh, marital aids company). The rep asked me to model the plus-size lingerie! 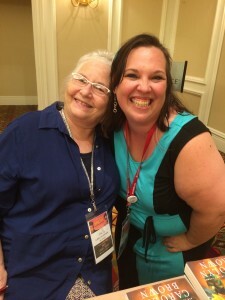 On Saturday we had a big ole author signing and I got to sit between to Sheila Athens and Carolyn Brown (fan girl squee!). Carolyn has the most fantastic stories with lots of lovely hot cowboys. I snagged a copy of her book and one from Sheila. I know what I’m reading this week! 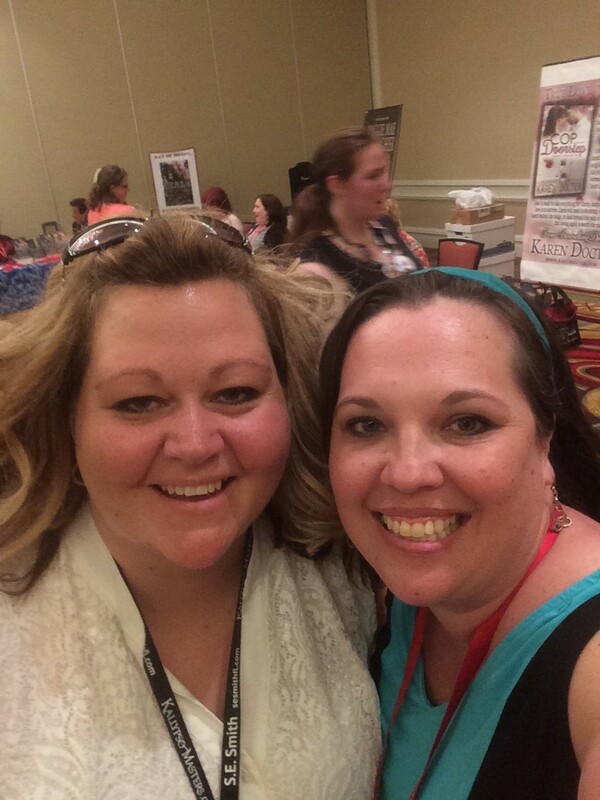 If you’re a romance reader and looking for a great little vacation for next fall, join us at the 2016 RomCon. I know you’ll have fun, and I’ll bet you come home with some favorite new authors and a truckload of books! 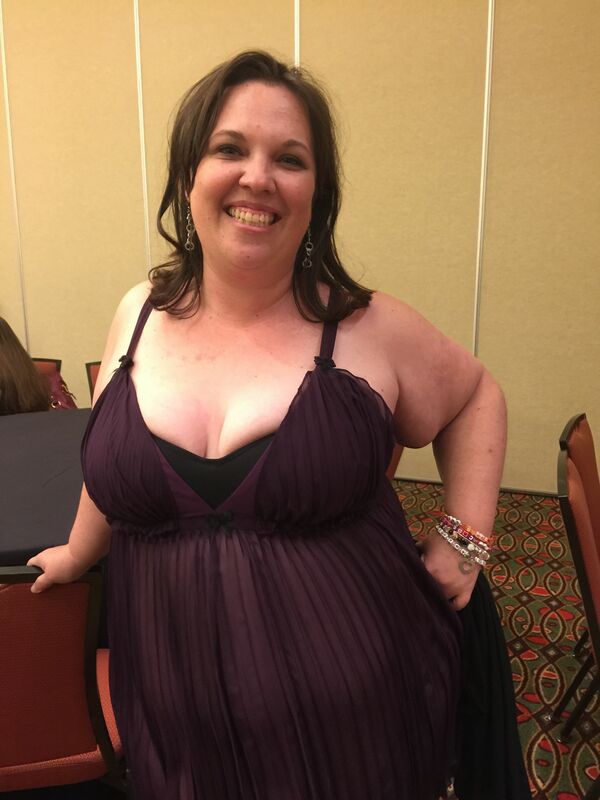 This entry was posted in Silliness and tagged Carolyn Brown, Plus-size lingerie, Romance Readers Conference, RomCon 015, Sheila Athens. Bookmark the permalink.